The Slovenian made the move to Dallas this year after playing professionally in Spain for Real Madrid since he was signed in 2012, when he was only 13 years old. Luka Doncic made his debut three years later, being the youngest in club history. He led Madrid to the 2018 Euroleague title, winning the Championship MVP and the Euroleague Final Four MVP awards. He has had a very impressive start to the season and the Mavericks feel they have a solid piece for their foundation towards winning another league championship. The STAR was part of a global conference call with the rising star. Philippine Star: Is the Rookie of the Year part of your goals for this year? 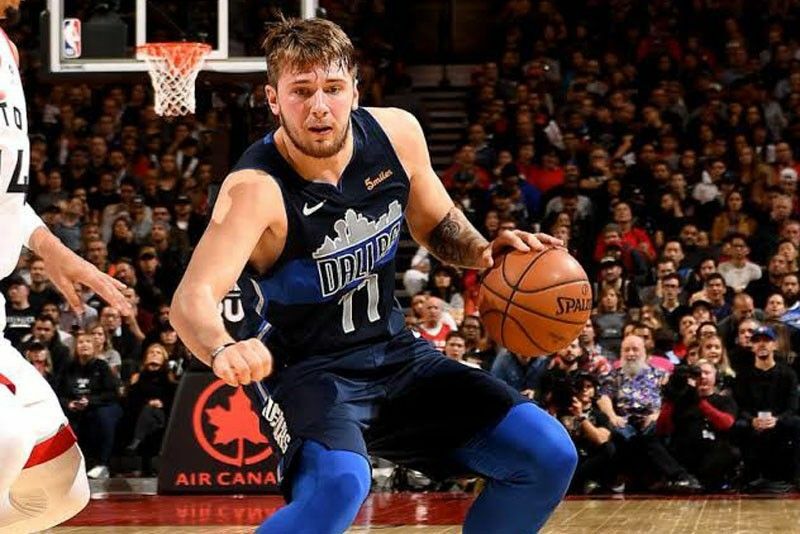 Luka Doncic: Yeah, of course, it would be special but for me it’s always for the team. Of course, I want to enter the playoffs first. That’s my goal and later the individual stuff. But yeah, it would be something special. Are you finding it difficult coming from a team that was accustomed to winning everything in Europe to now here in the NBA? It’s really hard because I was a person who gets really upset if we don’t win. But it’s just the beginning of the season. We have a lot of games to go, we’re going to get together, the chemistry is going to get better and we’re going to win some games. You don’t seem to have a problem moving to the US and adjusting to the NBA. I moved when I was 13 from Slovenia (my home) to Spain. So this time it was really easy for me. It wasn’t difficult at all. I feel like Dallas is my home now. I always wanted to play in the NBA. Talk about your game and what you like to do on the court. I always like to have the ball in my hands, create for others. I want to play a lot of pick-and-roll. But here it’s different because there are so many great players, so many talented players and everybody can play. What has been the biggest surprise for you in the NBA? The game is faster, for sure, but I already expected that. It’s faster and more physical.